This is a condition of weaker than normal bones, but is not yet to the point of being osteoporosis (which is more severe). Risk factors include a decrease in estrogen (in women, such as being postmenopausal), lower testosterone (in men), being older, being very thin, a history of steroid use, a history of acid-suppression medications, seizure medications, smoking, and low Vitamin D levels. • Calcium is best obtained from dietary sources - milk, dairy, yogurt, kefir, or cheese as well as dried herbs, sesame seeds, tofu, almonds, flax seeds, green vegetables – like kale or collards, salmon and herring. I personally prefer non-milk sources like green vegetables and sesame seeds (or tahini) as the magnesium content is much more balanced (as compared to dairy). There is about 300 mg of calcium in 1 cup of kefir, the same as a cup of milk. 1 cup of cooked collard greens has 360 mg of calcium. 1 cup of cooked spinach has 300 mg of calcium. 1 cup of cooked kale has 180 mg of calcium. • You can also boost your calcium intake with supplemental calcium (like Ultra Bone-Up which is my preferred bone-building supplement). There is evidence that calcium supplementation in isolation can be harmful (contributing to heart disease). If calcium supplements are taken, you need a 2:1 ratio of calcium to magnesium in your supplement. And you need to take Vitamin K2. 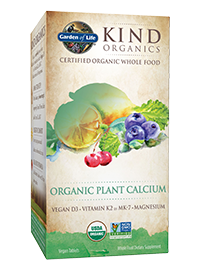 This is to avoid the increase in coronary disease with calcium supplements alone. • Normal levels of vitamin D are critical to absorption of calcium. Vitamin D is best obtained from the sun. Depending on your skin type and your age, this could require from 15 to 60 minutes a day of direct sun exposure. Additionally 2000 units of Vitamin D3 daily can be used, but you should have your Vitamin D level checked from blood and your physician can tailor your Vitamin D dose based on this. 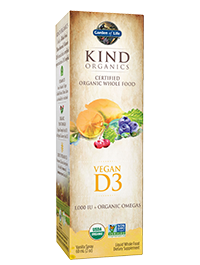 Vitamin D should be taken with Vitamin K2. • Vitamin D can also be obtained from some foods including eggs, salmon, sardines, swordfish, and some fish oils. • Vitamin K2 has recently been found to be critical to healthy bones. There are several forms of K2 – MK7 is the most active by increasing osteocalcin. This is found in fermented foods like aged cheese, kefir, natto, sauerkraut. MK4 is found in sour cream, buttermilk, and egg yolks, chicken, beef, oysters. • Strontium is a molecule similar to calcium and appears to play a role in the formation of new bone, while slowing down breakdown of old bone. Prescription strontium supplements (strontium ranelate) are used for osteoporosis treatment in Europe and Australia – although there are some recent concerns about negative effects on the heart. Studies published in the US show a significant improvement in fracture risk reduction using this form of strontium. Strontium is primarily found in seafood, but can also be found in milk (free-range, grass fed cows), kefir, cheese, meat, poultry, grains (barley), lettuce, spinach, and root vegetables (carrots / potatoes). Strontium supplements should not be taken with calcium supplements. • Boron is important as well. Boron is found in almonds, walnuts, avocados, broccoli, potatoes, pears, prunes, honey, oranges, chocolate, onions, chick peas, carrots, beans, bananas, red grapes, wine, cherries, red apples and raisins. • Magnesium is very important for healthy bones as well. Eating plenty of vegetables and seeds gives you sufficient magnesium (magnesium-rich foods include spinach, tofu, almonds, broccoli, lentils, pumpkin seeds, and sunflower seeds. • You should also been involved in regular weight bearing exercise (walking, hiking, and dancing are all good choices, upper extremities bones can be helped with light weights or elastic bands). • Most insurance plans cover bone density tests every 24 months when there are any abnormalities. Remember Vitamin D (and calcium) should always be taken with sufficient Vitamin K2 (from fermented vegetables – like sauerkraut and natural pickles, natto (fermented soybeans), fermented cheeses – like Emmental / Jarlsburg / Gouda / Brie / Edam, fermented non-low-fat dairy like kefir / buttermilk / yogurt, egg yolks, butter, chicken or goose liver, salami, pepperoni, sausage, chicken, and beef). Low-fat dairy does not have Vitamin K2. Remember I advise all animal products be wild / free-range / organic / minimally processed and hormone-free to avoid other toxic influences.